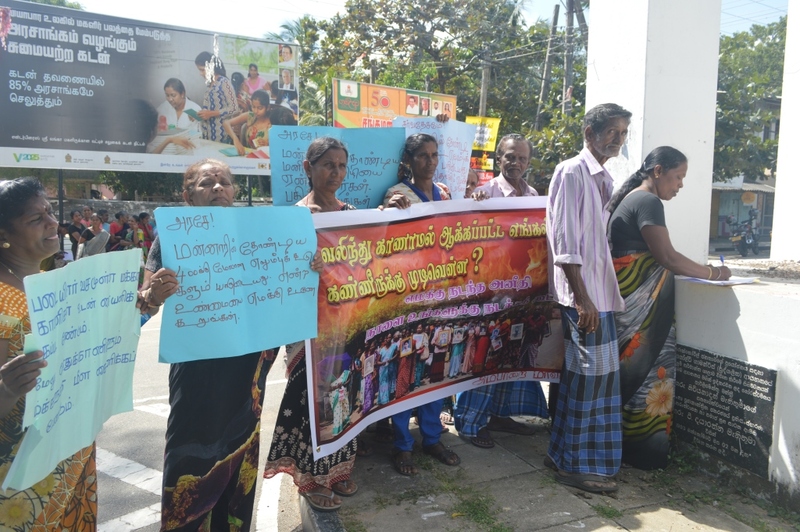 Families of the disappeared in Amparai yesterday held a demonstration and signature campaign, demanding answers over the unearthing of hundreds of skeletons at a mass grave in Mannar. 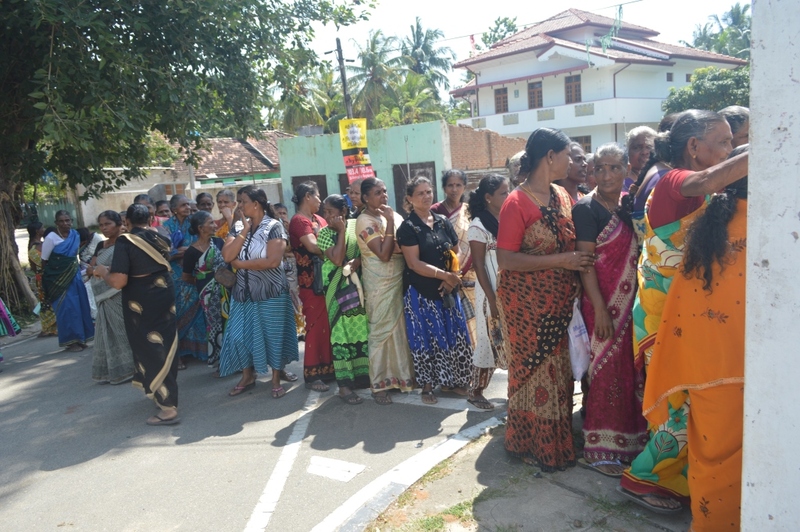 "Tell us the truth about the skeletons excavated in Mannar and who those people are," demanded protesters as they marched from the 'Office for the Families of the Disappeared in Thirukkovil' to Amparai clock tower. "International community! 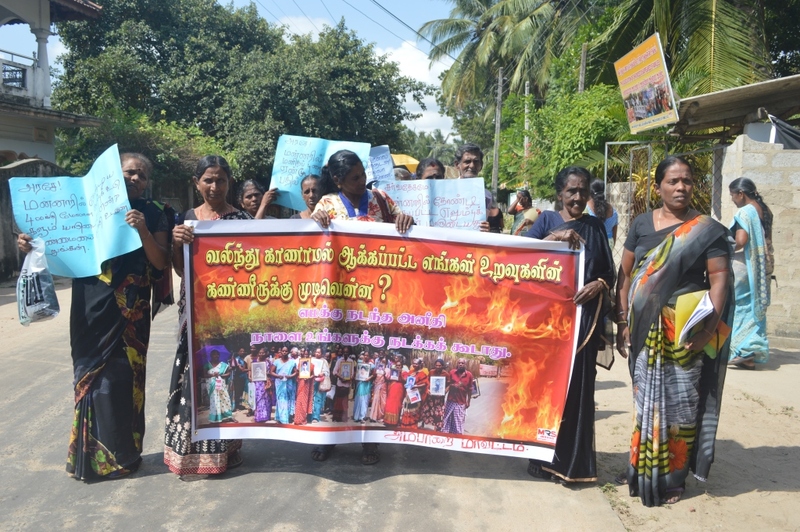 Please find out the truth about the human skeletons in Mannar," another protester shouted. 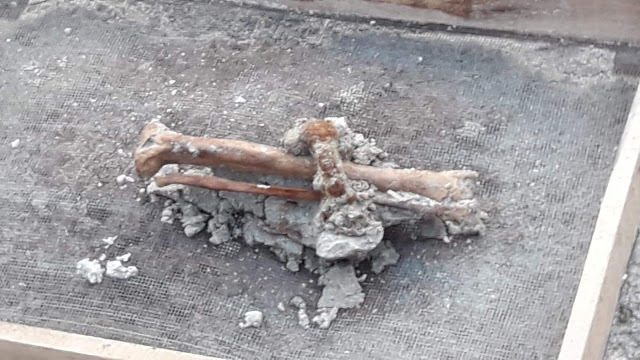 Samples of bones from the mass grave, where over 300 skeletons have been excavated, were taken to the United States for carbon dating this month. The chief investigator at the Mannar mass grave earlier this month confirmed the number of bodies excavated had reached 300. As well as signs of torture, observers had been disturbed by the discovery of bones bound by metal. The remains of at least 23 children have been identified amongst the bodies discovered so far.